The Commercial Revolution was a period of European economic expansion, colonialism, and mercantilism which lasted from approximately the late 13th century until the early 18th century. It was succeeded in the mid-18th century by the Industrial Revolution. Beginning with the Crusades, Europeans rediscovered spices, silks, and other commodities rare in Europe. This development created a new desire for trade, and trade expanded in the second half of the Middle Ages. Newly forming European states, through voyages of discovery, were looking for alternative trade routes in the 15th and 16th centuries, which allowed the European powers to build vast, new international trade networks. Nations also sought and found new sources of wealth. The Commercial Revolution is marked by an increase in general commerce, and in the growth of financial services such as banking, insurance, and investing. The term itself was coined in the middle of the 20th century, by economic historian Roberto Sabatino Lopez, to shift focus away from the English Industrial Revolution. In his best-known book, The Commercial Revolution of the Middle Ages (1971, with numerous reprints), Lopez argued that the key contribution of the medieval period to European history was the creation of a commercial economy, centered at first in the Italo-Byzantine eastern Mediterranean, but eventually extending to the Italian city-states and over the rest of Europe. The Commercial Revolution ran from approximately the late 13th century through the 18th century, with Walt Whitman Rostow saying the beginning is "arbitrarily" 1488, the year the first European sailed around the Cape of Good Hope. Most historians, including scholars such as Angeliki Laiou, Robert S. Lopez, Irving W. Raymond, and Peter Spufford indicate that there was a commercial revolution of the 12th-13th centuries, or that it began at this point, rather than later. For more details on this topic, see Renaissance of the 12th century. For more details on this topic, see Age of Discovery. Portuguese discoveries and explorations from 1415 to 1543: first arrival places and dates; main Portuguese spice trade routes in the Indian Ocean (in blue); territories of the Portuguese Empire under the rule of King John III (1521–1557) (in green). The Commercial Revolution began in the late 12th century and lasted throughout the 13th century. The deterioration of the climate that brought about the end of the medieval warm period (or medieval weather anomaly) caused an economic decline at the beginning of the 14th century (see Great Famine). However, demographic expansion continued until the arrival of the Black Death epidemic in 1347, when ca. 50% of the European population was killed by the plague. The economic effects of a labor shortage actually caused wages to rise, while agricultural yields were once again able to support a diminished population. By the beginning of the 15th century, the economic expansion associated with the Commercial Revolution in earlier centuries returned in full force, aided by improvements in navigation and cartography. Geopolitical, monetary, and technological factors drove the Age of Discovery. During this period (1450-17th century), the European economic center shifted from the Islamic Mediterranean to Western Europe (Portugal, Spain, France, the Netherlands, and to some extent England). This shift was caused by the successful circumnavigation of Africa, which opened up sea-trade with the east: after Portugal's Vasco da Gama rounded the Cape of Good Hope and landed in Calicut, India in May 1498, a new path of eastern trade was possible ending the monopoly of the Ottoman Turks and their European allies, the Italian city-states. The wealth of the Indies was now open for the Europeans to explore; the Portuguese Empire was one of the early European empires to grow from spice trade. Following this, Portugal became the controlling state for trade between east and west, followed later by the Dutch city of Antwerp. Direct maritime trade between Europe and China started in the 16th century, after the Portuguese established the settlement of Goa, India in December 1510, and thereafter that of Macau in southern China in 1557. Since the English came late to the transatlantic trade, their commercial revolution was later as well. In 1453, the Ottoman Turks took over Constantinople, which cut off (or significantly increased the cost of) overland trade routes to the Far East, so alternative routes had to be found. English laws were changed to benefit the navy, but had commercial implications in terms of farming. These laws also contributed to the demise of the Hanseatic League, which traded in northern Europe. Because of the Reconquista, the Spanish had a warrior culture ready to conquer still more people and places, so Spain was perfectly positioned to develop their vast overseas empire. Rivalry between the European powers produced intense competition for the creation of colonial empires, and fueled the rush to sail out of Europe. The need for silver coinage also affected the desire for expanded exploration as silver and gold were spent for trade to the Middle and Far East. The Europeans had a constant deficit in that silver and gold coin only went one way: out of Europe, spent on the very type of trade that they were now cut off from by the Ottomans. Another issue was that European mines were exhausted of silver ore and gold. What ore remained was too deep to recover, as water would fill the mine, and technology was not sufficiently advanced enough to successfully remove the water to get to the ore or gold. A second argument is that trade during the youth of the Commercial Revolution blossomed not due to explorations for bullion but due to a new found faith in gold coinage. Italian city-states such as Genoa and Florence (where the first gold coins began to be minted in 1252) and kingdoms such as the Kingdom of Sicily routinely received gold through such trading partners as Tunisia and Senegal. A new, stable and universally accepted coinage that was both compatible with traditional European coinage systems and serviced the increased demand for currency to facilitate trade made it even more lucrative to carry out trade with the rest of the world. 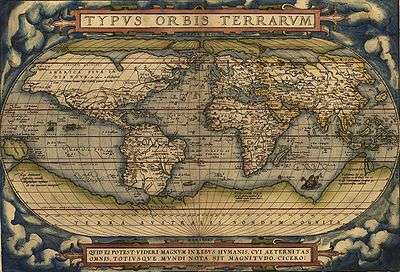 In 1570 (May 20) Gilles Coppens de Diest at Antwerp published 53 maps created by Abraham Ortelius under the title Theatrum Orbis Terrarum, considered the "first modern atlas". Latin editions, besides Dutch, French and German editions appeared before the end of 1572; the atlas continued to be in demand till about 1612. This is the world map from this atlas. From the 16th to 18th centuries, Europeans made remarkable maritime innovations. These innovations enabled them to expand overseas and set up colonies, most notably during the 16th and 17th centuries. They developed new sail arrangements for ships, skeleton-based shipbuilding, the Western “galea” (at the end of the 11th century), sophisticated navigational instruments, and detailed charts and maps. After Isaac Newton published the Principia, navigation was transformed, because sailors could predict the motion of the moon and other celestial objects using Newton's theories of motion. Starting in 1670, the entire world was measured using essentially modern latitude instruments. In 1676, the British Parliament declared that navigation was the greatest scientific problem of the age and in 1714 offered a substantial financial prize for the solution to finding longitude. This spurred the development of the marine chronometer, the lunar distance method and the invention of the octant after 1730. By the late 18th century, navigators replaced their prior instruments with octants and sextants. Significant contributors to European exploration include Prince Henry the Navigator of Portugal, who was the first of the Europeans to venture out into the Atlantic Ocean, in 1420. Others are Bartolomeu Dias, who first rounded the Cape of Good Hope; Vasco da Gama, who sailed directly to India from Portugal; Ferdinand Magellan, the first to circumnavigate the Earth; Christopher Columbus, who significantly encountered the Americas; Jacques Cartier, who sailed for France, looking for the Northwest Passage; and others. The economy of the Roman Empire had been based on money, but after the Empire's fall, money became scarce; power and wealth became strictly land based, and local fiefs were self-sufficient. Because trade was dangerous and expensive, there were not many traders, and not much trade. The scarcity of money did not help; however, the European economic system had begun to change in the 14th century, partially as a result of the Black Death, and the Crusades. Banks, stock exchanges, and insurance became ways to manage the risk involved in the renewed trade. New laws came into being. Travel became safer as nations developed. Economic theories began to develop in light of all of the new trading activity. The increase in the availability of money led to the emergence of a new economic system, and new problems to go with it. The Commercial Revolution is also marked by the formalization of pre-existing, informal methods of dealing with trade and commerce. For more details on this topic, see Price revolution. Spain legally amassed approximately 180 tons of gold and 8200 tons of silver through its endeavors in the New World, and another unknown amount through smuggling, spending this money to finance wars and the arts. The spent silver, suddenly being spread throughout a previously cash starved Europe, caused widespread inflation. The inflation was worsened by a growing population but a static production level, low employee salaries and a rising cost of living. This problem, combined with underpopulation (caused by the Black Death), affected the system of agriculture. The landholding aristocracy suffered under the inflation, since they depended on paying small, fixed wages to peasant tenants that were becoming able to demand higher wages. The aristocracy made failed attempts to counteract this situation by creating short-term leases of their lands to allow periodic revaluation of rent. 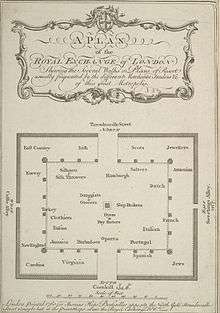 The manorial system (manor system of lord and peasant tenant) eventually vanished, and the landholding aristocrats were forced to sell pieces of their land in order to maintain their style of living. Such sales attracted the rich bourgeois (from the French word referring to this dominant class, emerging with commerce), who wanted to buy land and thereby increase their social status. Former "common lands" were fenced by the landed bourgeois, a process known as "enclosure" which increased the efficiency of raising livestock (mainly sheep's wool for the textile industry). This "enclosure" forced the peasants out of rural areas and into the cities, resulting in urbanization and eventually the industrial revolution. On the other hand, the increase in the availability of silver coin allowed for commerce to expand in numerous ways. Inflation was not all bad. For more details on this topic, see History of banking. 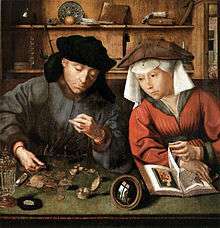 Various legal and religious developments in the late Middle Ages allowed for development of the modern banking system at the beginning of the 16th century. Interest was allowed to be charged, and profits generated from holding other people's money. Banks in the Italian Peninsula had great difficulty operating at the end of the 14th century, for lack of silver and gold coin. Nevertheless, by the later 16th century, enough bullion was available that many more people could keep a small amount hoarded and used as capital. In response to this extra available money, northern European banking interests came along; among them was the Fugger family. The Fuggers were originally mine owners, but soon became involved in banking, charging interest, and other financial activities. They dealt with everyone, from small-time individuals, to the highest nobility. Their banks even loaned to the emperors and kings, eventually going bankrupt when their clients defaulted. This family, and other individuals, used Italian methods which outpaced the Hanseatic League's ability to keep up with the changes occurring in northern Europe. Antwerp had one of the first money exchanges in Europe, a Bourse, where people could change currency. After the Siege of Antwerp (1584-1585), the majority of business transactions were moved to Amsterdam. The Bank of Amsterdam, following the example of a private Stockholm corporation, began issuing paper money to lessen the difficulty of trade, replacing metal (coin and bullion) in exchanges. In 1609 the Amsterdamsche Wisselbank (Amsterdam Exchange Bank) was founded which made Amsterdam the financial center of the world until the Industrial Revolution. In a notable example of crossover between stock companies and banks, the Bank of England, which opened in 1694, was a joint-stock company. Banking offices were usually located near centers of trade, and in the late 17th century, the largest centers for commerce were the ports of Amsterdam, London, and Hamburg. Individuals could participate in the lucrative East India trade by purchasing bills of credit from these banks, but the price they received for commodities was dependent on the ships returning (which often did not happen on time) and on the cargo they carried (which often was not according to plan). The commodities market was very volatile for this reason, and also because of the many wars that led to cargo seizures and loss of ships. Trade in this period was a risky business: war, weather, and other uncertainties often kept merchants from making a profit, and frequently an entire cargo would disappear all together. To mitigate this risk, the wealthy got together to share the risk through stock: people would own shares of a venture, so that if there was a loss, it would not be an all consuming loss costing the individual investor everything in one transaction. Other ways of dealing with the risk and expense associated with all of the new trade activity include insurance and joint stock companies which were created as formal institutions. People had been informally sharing risk for hundreds of years, but the formal ways they were now sharing risk was new. Even though the ruling classes would not often directly assist in trade endeavors, and individuals were unequal to the task, rulers such as Henry VIII of England established a permanent Royal Navy, with the intention of reducing piracy, and protecting English shipping. Stock exchanges were developed as the volume of stock transactions increased. The London Royal Exchange established in 1565 first developed as a securities market, though by 1801 it had become a stock exchange. Historian Fernand Braudel suggests that in Cairo in the 11th-century Muslim and Jewish merchants had already set up every form of trade association and had knowledge of every method of credit and payment, disproving the belief that these were invented later by Italians. In 12th century France the courratiers de change were concerned with managing and regulating the debts of agricultural communities on behalf of the banks. Because these men also traded with debts, they could be called the first brokers. In late 13th century Bruges commodity traders gathered inside the house of a man called Van der Beurse, and in 1309 they became the "Bruges Beurse", institutionalizing what had been, until then, an informal meeting. The idea quickly spread around Flanders and neighboring counties and "Beurzen" soon opened in Ghent and Amsterdam. "In the middle of the 13th century Venetian bankers began to trade in government securities. In 1351 the Venetian government outlawed spreading rumors intended to lower the price of government funds." Bankers in Pisa, Verona, Genoa and Florence also began trading in government securities during the 14th century. This practice was only possible, because these independent city states were not ruled by a duke but a council of influential citizens. The Dutch later started joint stock companies, which let shareholders invest in business ventures and get a share of their profits - or losses. In 1602, the Dutch East India Company issued the first shares on the Amsterdam Stock Exchange. It was the first company to issue stocks and bonds. The Amsterdam Stock Exchange (or Amsterdam Beurs) is also said to have been the first stock exchange to introduce continuous trade in the early 17th century. The Dutch "pioneered short selling, option trading, debt-equity swaps, merchant banking, unit trusts and other speculative instruments, much as we know them." A sample insurance contract. Documents such as this helped traders survive losses. Insurance companies were another way to mitigate risk. Insurance in one form or another has been around as far back as there are records. What differed about insurance going into the 16th and 17th centuries was that these informal mechanisms became formalized. Lloyd's of London came into being in 1688 in English coffee shops that catered to sailors, traders, and others involved in trade. Interestingly, Lloyd's coffeehouse published a newspaper, which gave news from various parts of the world, and helped the underwriters of the insurance at the coffeehouse to determine the risk. This innovation was one of many that allowed for the categorization of risk. Another innovation was the use of ship catalogs and classifications. Other forms of insurance began to appear as well. After the Great Fire of London, Nicholas Barbon began to sell fire insurance in 1667. Laws were changed to deal with insurance issues, such as l'Ordonnance de la Marine (by Colbert in 1681). For more details on this topic, see History of Economic Thought. As the economy grew through the Commercial Revolution, so did attempts to understand and influence it. Economic theory as a separate subject of its own came into being as the stresses of the new global order brought about two opposing theories of how a nation accumulates wealth: mercantilistic and free-trade policies. Mercantilism inflamed the growing hostilities between the increasingly centralized European powers as the accumulation of precious metals by governments was seen as important to the prestige and power of a modern nation. This involvement in accumulating gold and silver (among other things) became important in the development of the nation-state. Governments' involvement in trade affected the nobility of western European nations, because increased wealth by non-nobles threatened the nobility's place in society. Mercantilism is an economic policy that emphasizes the goal of each nation was to gain as much money as possible by whatever means. The belief was that the richer the nation the more powerful it was. The idea behind it was an outgrowth of the guild system, as guilds were monopolistic enterprises: they regulated trade within towns by controlling the creation of goods, regulated themselves through their system of apprenticeship, kept outside traders from selling goods in the town, and forced outsiders to pay tolls and other types of payments for the privilege of doing business in that town. Laws were passed to enforce this concept, such as the English Navigation Acts, and edicts issued by French Minister of Finance Jean-Baptiste Colbert. Proponents of mercantilism included Thomas Mun, Philipp von Hörnigk, and others. An early critic of mercantilism was Nicholas Barbon. Mercantilism was a significant driver of Colonialism, as, according to the theory, the colony existed for the benefit of the mother country. This assumption meant that colonies were prohibited from engaging in their own independent commerce, and therefore competing with the mother country. Colonies were established to provide customers, raw materials, and investment opportunities. Other important goals of colonialism were European political considerations, and religious fervor. 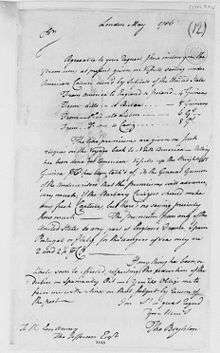 The administration of the colonies established by the Europeans mirrored in some part the mother country. Spain's encomienda system of forced labor in Latin America and the Philippines was an extension of the Spanish feudal system, with the granting of territory as part of a royal extension of power. After the Spanish acquisition of the Philippines, the pace of exchange between China and the West accelerated dramatically. Manila galleons brought in far more silver to China than the Silk Road. The Qing government attempted to limit contact with the outside world to a minimum. The Qing only allowed trade through the port of Canton, what is now Guangzhou. Severe red-tape and licensed monopolies were set up to restrict the flow of trade, resulting in high retail prices for imported goods and limited demand. Spain began to sell opium, along with New World products such as tobacco and maize, to the Chinese in order to prevent a trade deficit. The English, for their part, used the British East India Company as an agent of the crown, which was expected to govern and protect the people and commerce of the colony. The English also developed a commercial empire in North America, India, and Australia, creating colonies, with the intention of making a profit. As a result of high demand for tea, silk, and porcelain in Britain and the low demand for British commodities in China, Britain had a large trade deficit with China and had to pay for these goods with silver. Britain began illegally exporting opium to China from British India in the 18th century to counter its deficit. The opium trade took off rapidly, and the flow of silver began to reverse. The Yongzheng Emperor prohibited the sale and smoking of opium in 1729 because of the large number of addicts. The French followed the English to the New World, and settled Quebec in 1608. They did not populate North America as much as the English did, as they did not allow the Huguenots to travel to the New World. In addition, the heavy governmental regulations placed on trade in France discouraged settlement. The Portuguese Empire was created through commerce bases in South America, Africa, India, and across southeast Asia. Governments became involved in trade directly through the granting of royal trade monopolies. For example, Walter Raleigh had been granted a trade monopoly by Queen Elizabeth, for the export of broadcloth and wine. Ironically, competition between colonial powers led to their granting of trade monopolies to the East India Companies. A triangular trade occurred in this period: between Africa, North America, and England; and it worked in the following way: Slaves came from Africa, and went to the Americas; raw materials came from the Americas and went to Europe; from there, finished goods came from Europe and were sold back to the Americas at a much higher price. Because of the massive die-off of the indigenous people, the Atlantic Slave Trade was established to import the labor required for the extraction of resources (such as gold and silver) and farming. Laws began to change to deal with commerce, both internationally, and locally within individual countries. In England, the Navigation Acts were among the British effort to regulate trade. The Commercial Revolution, coupled with other changes in the Early Modern Period, had dramatic effects on the globe. Christopher Columbus and the conquistadors, through their travels, were indirectly responsible for the massive depopulation of South America. They were directly responsible for destroying the civilizations of the Inca, Aztec, and Maya in their quest to build the Spanish Empire. Other Europeans similarly affected the peoples of North America as well. An equally important consequence of the Commercial Revolution was the Columbian Exchange. Plants and animals moved throughout the world due to human movements. For example, Yellow fever, previously unknown in North and South America, was imported through water that ships took on in Africa. Cocoa (chocolate), coffee, maize, cassava, and potatoes moved from one hemisphere to the other. For more than 2000 years, the Mediterranean Sea had been the focus of European trade with other parts of the world. After 1492, this focus shifted to the Atlantic Ocean by routes south around the Cape of Good Hope, and by trans-Atlantic trade. 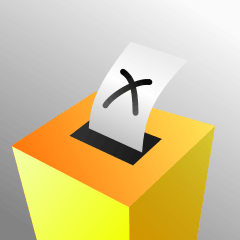 Another important change was the increase in population. Better food and more wealth allowed for larger families. The migration of peoples from Europe to the Americas allowed for European populations to increase as well. Population growth provided the expanding labor force needed for industrialization. Another important outcome of Europe's commercial revolution was a foundation of wealth needed for the industrial revolution. Economic prosperity financed new forms of cultural expression during this period. ↑ Robert Lopez (1976). The Commercial Revolution of the Middle Ages. [New York]: Cambridge University Press. pp. 56–147. ↑ Ejvind Damsgaard Hansen (2001). European Economic History. [Copenhagen]: Copenhagen Business School Press. p. 47. ISBN 87-630-0017-2. ↑ O'Connor, David Kevin (2004). The basics of economics. Westport, Conn.: Greenwood Press. p. 48. ISBN 978-0-313-32520-5. 1 2 Whitman Rostow, Walt (1975). How it all began : origins of the modern economy. London: Methuen. p. 107. ISBN 978-0-416-55930-9. ↑ Spufford, Peter. Money and its Use in Medieval Europe. Cambridge University Press. p. 240. ISBN 978-0-521-37590-0. ↑ Lopez, Robert (1955). Medieval Trade in the Mediterranean World. Columbia University Press. pp. 9, 50, 69, passim. ISBN 978-0-231-12356-3. ↑ Kathryn Reyerson (1999). "Commerce and Communications" in David Abulafia ed., The New Cambridge Medieval History, vol. 5. [Cambridge, UK]: Cambridge University Press. pp. 50–1. ↑ Angeliki Laiou (1997). "Byzantium and the Commercial Revolution" in G. Arnaldi ed., Europa medievale e mondo bizantino. [Rome, Italy]: Istituto Storico per il Medioevo, Studi Storici 40. pp. 239–53. 1 2 Gama, Vasco da. The Columbia Encyclopedia, Sixth Edition. Columbia University Press. ↑ Fisk, John (1900). Old Virginia and Her Neighbours. Houton, Mifflin, and Company. p. 14. ↑ Cunningham, William (1892). The Growth of English Industry and Commerce in Modern Times. University Press. p. 26. ↑ Weatherford, J. McIver (1988). Indian givers: how the Indians of the Americas transformed the world. New York: Fawcett Columbine. p. 231. ISBN 0-449-90496-2. ↑ Diamond, Jared M. (1997). Guns, germs, and steel: the fates of human societies. New York: W.W. Norton. ISBN 0-393-03891-2. ↑ Cowen, Richard. "Exploiting the Earth". Retrieved 2007-10-17. ↑ Lopez, Robert S. (1956). "Back to Gold, 1252". The Economic History Review. 9 (2): 219–240. doi:10.2307/2591743. ↑ Marcus Rautman (2006). Daily life in the Byzantine Empire. Westport, Conn: Greenwood Press. p. 150. ISBN 0-313-32437-9. ↑ The Family Magazine. Redfield & Lindsay. 1838. p. 436. ↑ Haven, Kendall F. (2006). 100 Greatest Science Inventions of All Time. Littleton, Colo: Libraries Unlimited. p. 69. ISBN 1-59158-264-4. ↑ Pope, Joseph (1890). Jacques Cartier, his life and voyages. Printed by A.S. Woodburn. p. 49. 1 2 3 4 Webster, Hutton (1919). Medieval and Modern History. Boston: D.C. Heath & Co.
↑ Lewis, Archibald (January 1988). Nomads and Crusaders: AD 1000-1368. Indiana University Press. ISBN 978-0-253-20652-7. ↑ Walton, Timothy R. (1994). The Spanish Treasure Fleets. Pineapple Press (FL). p. 85. ISBN 1-56164-049-2. ↑ Tracy, James D. (1994). Handbook of European History 1400-1600: Late Middle Ages, Renaissance, and Reformation. Boston: Brill Academic Publishers. p. 655. ISBN 90-04-09762-7. ↑ Cunningham, William (1892). The Growth of English Industry and Commerce in Modern Times. University Press. p. 15. ↑ Danbom, David B. (2006). Born in the Country: A History of Rural America (Revisiting Rural America). Baltimore: The Johns Hopkins University Press. p. 4. ISBN 0-8018-8459-4. ↑ Weatherford, J. McIver (1988). Indian givers: how the Indians of the Americas transformed the world. New York: Fawcett Columbine. p. 15. ISBN 0-449-90496-2. ↑ Spufford, Peter (1993). Money and its Use in Medieval Europe. Cambridge, UK: Cambridge University Press. p. 349. ISBN 0-521-37590-8. ↑ Cunningham, William (1892). The Growth of English Industry and Commerce in Modern Times. University Press. p. 14. ↑ Brechin, Gray A. (1999). Imperial San Francisco: urban power, earthly ruin. Berkeley: University of California Press. ISBN 0-520-22902-9. ↑ Cunningham, William (1892). The Growth of English Industry and Commerce in Modern Times. University Press. p. 24. ↑ Keyser, Henry (1850). The law relating to transactions on the stock exchange. Oxford [Oxfordshire]: Oxford University Press. p. 1. ↑ Day, Clive (1914). A History of Commerce. Longmans, Green, and Co. p. 144. 1 2 Michie, R. C. (1999). The London Stock Exchange: a history. Oxford [Oxfordshire]: Oxford University Press. p. 34. ISBN 0-19-829508-1. ↑ Fisk, John (1900). Old Virginia and Her Neighbours. Houton, Mifflin, and Company. p. 182. ↑ Lindsay, William S. (1872). History of Merchant Shipping and ancient commerce. London: Sampson Low, Marston, Low, and Searle. p. 89. 1 2 Shane Darrisaw, H. Common Sense Ain't Common: A guide for positioning yourself to take full advantage of your credit and financial opportunities!. AuthorHouse. p. 86. ISBN 1-4343-7559-5. ↑ Chambers, Clem. "Who needs stock exchanges?". Mondo Visione. Retrieved 25 October 2009. ↑ Sayle, Murray (5 April 2001). "LRB · Murray Sayle: Japan goes Dutch". London Review of Books XXIII.7. Retrieved 25 October 2009. ↑ Martin, Frederick (1876). The History of Lloyd's and of Marine Insurance in Great Britain. MacMillan and Company, London. pp. 65–80. ↑ "London Fire Brigade – History, key dates (Our history)". Retrieved 2007-10-27. ↑ Smits, Jan (2006). Elgar Encyclopedia of Comparative Law (Elgar Original Reference). Edward Elgar Publishing. p. 315. ISBN 1-84542-013-6. ↑ R. Auslin, Michael. Negotiating with Imperialism: The Unequal Treaties and the Culture of Japanese Diplomacy. Harvard University Press. p. 14. ISBN 0-674-02227-0. ↑ Liu, Yong (2007). The Dutch East India Company's tea trade with China, 1757-178. Leiden ; Boston: Brill. p. 91. ISBN 90-04-15599-6. ↑ Fisk, John (1900). Old Virginia and Her Neighbours. Houton, Mifflin, and Company. p. 183. ↑ Markham, Jerry W. (2001). A financial history of the United States. Armonk, N.Y.: M.E. Sharpe. p. 22. ISBN 0-7656-0730-1. ↑ Elliott, Charles Burke (1907). The law of insurance: a treatise on the law of insurance, including fire, life, accident, marine, casualty, title, credit and guarantee insurance in every form. Bobbs-Merrill. p. 3. ↑ Bergman, Leslie. "History of colonization in South America". Stellenbosch University, Stellenbosch, South Africa. Retrieved 25 October 2009. Stellenbosch, South Africa's Department of Modern Foreign Languages's Historical Background article South America says: "Yellow fever was an uninvited "guest" brought to the Americas on the slave ships from West Africa. Yellow fever is caused by a virus spread by the bite of a species of mosquito native to West Africa, the aedes aegypti. This mosquito was accidentally carried across the Atlantic in water barrels on the slave ships. Yellow fever struck communities from New York to Rio de Janeiro, but aedes aegypti flourished in tropical zones. The mosquito, and with it yellow fever, spread rapidly throughout the Amazon River valley. The disease was so lethal to Europeans, who had little immunity to it, that mass settlement of the Amazon region was not possible until present times." Gibbins, Henry de Beltgens (1891). The History of Commerce in Europe. MacMillan and Company London New York. Lopez, Robert. The Commercial Revolution of the Middle Ages. pp. 56–147. Marshall, Michael (1999). "From Mercantilism to 'The Wealth of Nations'" (PDF). The World & I. 5 (Special Edition). "Money Management and Imperial Power" (PDF). p. 6. Retrieved 2007-10-12.